Further to my previous letter, the final members of my brotherhood have returned and present their reports to you. I must apologise but this update is not as complete as I had hoped to your majesty, however not all of our scouts have returned home. Whilst we will mourn their deaths, their legacy will live on in the hearts of their brethren. Castle with Flags: Capital of the Ruler. Castle: Capital of a Jarl/Duke. 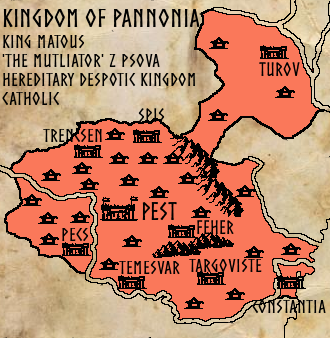 The largest of our Catholic neighbours, the Kingdom of Pannonia is the biggest threat to our realm and our faith. Surrounded by natural defences on the majority of its borders, any offence into this land will cost many lives in the inevitable fights that will come. Surrounded in the north by the faithful, their existence prevents any further growth of our religion. 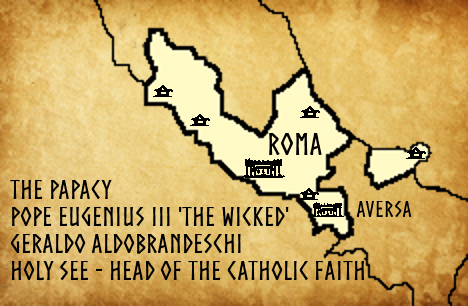 The central power of their faith, the papacy in Roma is the spiritual leader of all Catholics. Having beaten their orthodox Christian brothers for the prominence of their faith, the Pope has control of believers from Iberia to Anatolia. The relationship between ruler and priest is more distinct than in our own realm, surely a sign that even their god does not believe in their power, and as such the realm of the Holy See is rather small. Nevertheless, the ability for the pope to unite the forces of the Catholics against us should never be underestimated and until such time as we can return to Roma and burn it to the ground for good, beware St Peters successor. 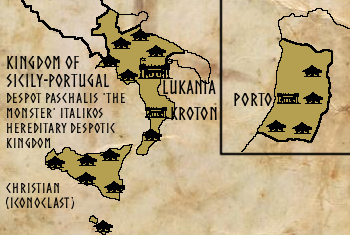 In my last report I told of the lands of the Kingdom of Sicily-Portugal, however the lands of Portugal were not included in that report. My humblest apologies my lord, please see the complete report. 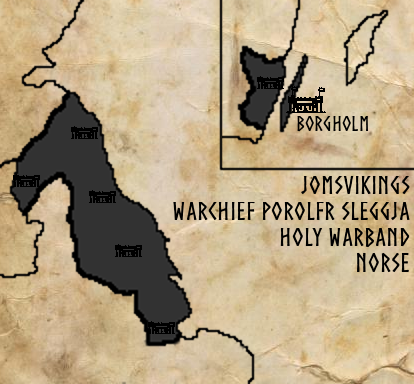 From their capital in the south of Seva Rike and their holdings in Angland, the Jomsvikings lead many raids to the mainland against the Catholics. Originally a leading force in the Great Reavings that took over the isle, their status has diminished over the years so that they now support the actions of greater men, rather than leading the charge themselves. Do not mistake their diminished relevance for diminished power, for their warhosts have turned the tide of many wars. 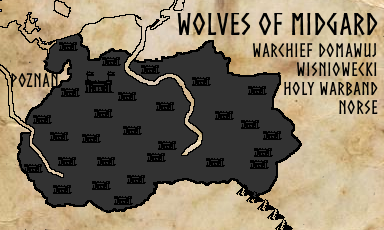 Generations ago, your ancestor granted the lands of the poles to the warrior order, the Wolves of Midgard. In so doing the defence of the south was secured and a great power was created. However, their newly conquered Catholics were not happy with their newly installed Norse lords. Whilst the people have come to accept the faith of Odin, their sentiments for rulership by one of their own people has not gone. By decree the Wolves are prevented from raising their blades against their own faith, what will happen if the people were to rebel? 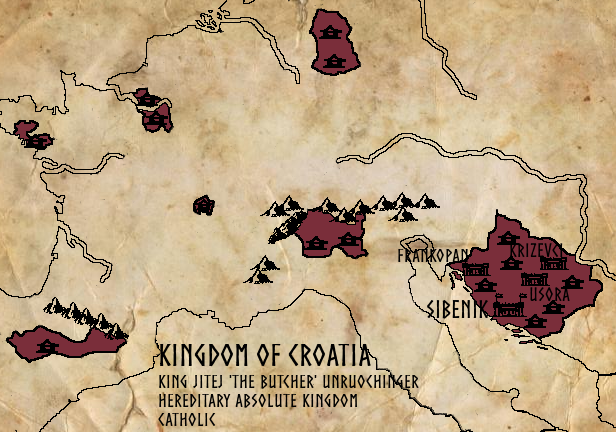 With a wide web of marriages and pacts spindling out from Sibnik, the King of the Croats is owed the alliance of various counts throughout the mainland. These counts are in a precarious position, where an army would be able to quickly overwhelm the local defences, but the retribution from the heartland would be a powerful force. Whether the Kingdom of Croatia can retain these scattered holdings will depend on how quickly that force will be able to respond. 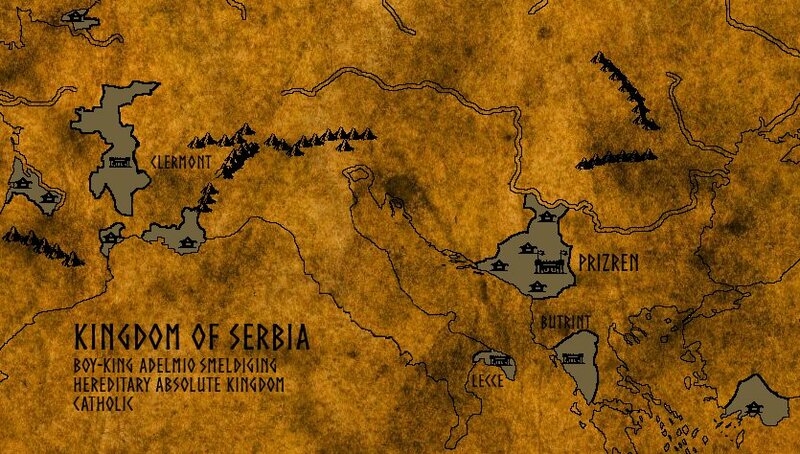 If Croatia was in a precarious situation, then the Kingdom of Serbia is a catastrophe waiting to happen. Lacking both a unified mainland and having holdings stretched further apart, the King has had to decentralise power to several dukes. How long the Serbian kings can keep their crowns, and heads, is not known. Pity the men of Greece, for they have suffered not one, but two unravelling’s. The first, at the hands of the gods, took from them an empire which had stretched back to antiquity. Yet they rebuilt themselves, and the Kingdom of Greece was proclaimed. Stretching all the way north to the lands of the Lithuanians, they were a power to behold. Thus was the beginning of their second unravelling, this time by men, as your forefather lead a great host against these people, pushing forward the lands of the faithful. Quickly their foes pounced, and the corpse of the Greek Kingdom was ravaged and reduced to a fraction of its former self. Pity the men of Greece, but beware. 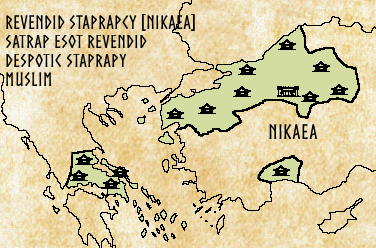 The main victor against the Kingdom of Greece, the Revendid Staprapy is an emerging power in the Anatolian region. Ruling from the ancient city of Nikaea, the realm stretches to the coast and also encompasses the equally ancient city of Athens. 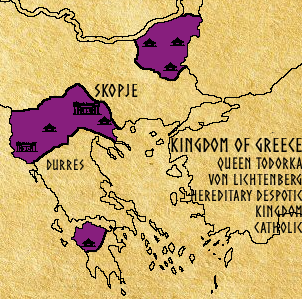 With the Queen of the Greeks rebuilding her kingdom, conflict will shortly erupt that will define both nations soon. 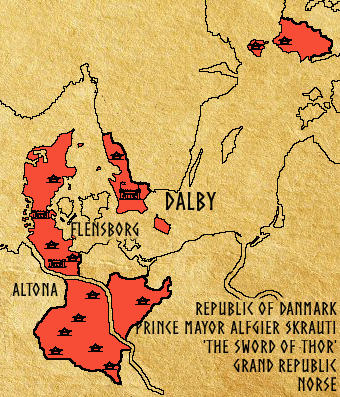 The second of the Norse republics, Danmark sits on the threshold of the Norse and Catholic worlds. Unlike Brythoniaid however, the realm is made up of merchants rather than elected nobles. When the realm was founded, it was hoped to encouraging trade north from Catholics more interested in gold than their restrictive beliefs. Luckily greed is always reliable.